Young actor Quoc Anh in a scene from Trang Quynh (Dr Quynh), a new comedy from Thien Phuc Studio, screens on February 5, the first day of the lunar calendar, and runs during Tet. (Photo courtesy of the producer). 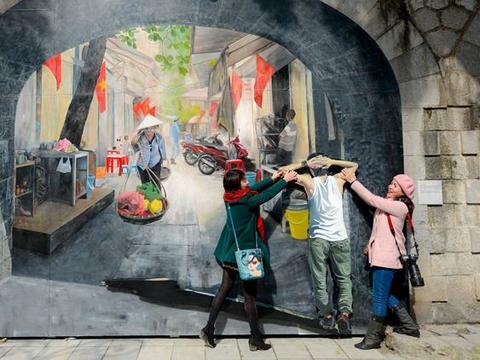 HCM CITY — As in previous years, filmmakers will release new productions to lure moviegoers to cinemas during the Tet (Lunar New Year) holiday. Thien Phuc Studio, one of HCM City’s private film companies, will screen its comedy Trang Quynh (Dr Quynh) on February 5, the first day of the lunar calendar. The producer delayed the screening schedule for a month because he wanted to “guarantee our film’s financial success,” said the film’s director Duc Thinh. Thinh promises his film will appeal to both young audiences and adults. Trang Quynh is based on Vietnamese folk tales about the tricks of Nguyen Quynh, a scholar from Thanh Hoa Province who lived under the Le-Trinh reign between 1696 and 1718. Quynh was famous for his voice and representation of the poor. He has been loved by many Vietnamese generations. The film is about Quynh’s journey to rescue his teacher and two friends who are part of the "lower class” in the old feudal society. “I used Quoc Anh, a young actor from Ha Noi, to play Quynh because I saw his potential in comedy. I wanted my film to offer something new to audiences,” said Thinh, who has more than 20 years of experience in the industry. 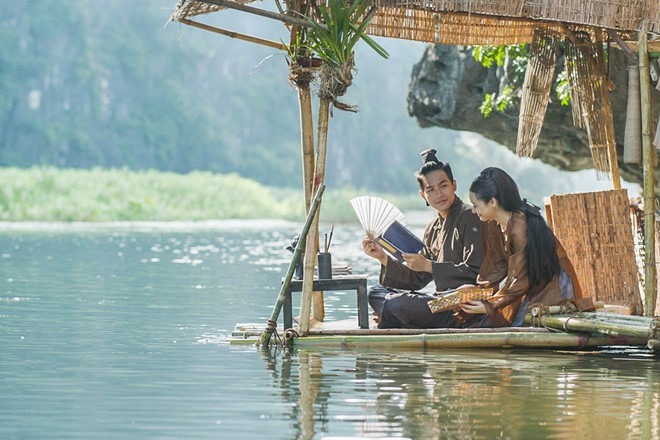 The film includes famous comedian Tran Thanh and actress Nha Phuong, winner of Best Actress at the Canh Dieu Vang (Golden Kite) Awards from the Viet Nam Cinematography Association last year. Thinh’s latest comedy film, Sieu Sao Sieu Ngo (Super Star- Supper Silly), earned more than VND107 billion ($4.58 million) in ticket sales last holiday season. “I hope that Trang Quynh will repeat the success,” Thinh said. Producer Nhat Trung’s Cua Lai Vo Bau (Love Again) is a full-length comedy starring Ninh Duong Lan Ngoc, winner of the Golden Kite Best Actress award in 2010 and 2015. The comedy features the theme of love and has exciting action. Trung, who is also the film’s director, said that comedies are a favourite genre during the holiday season. Another comedy, Tao Quay (Kitchen God Acts), made by newcomer Toan Joshua, is about Ong Tao (Kitchen God) who leaves for heaven to report about his family to the God of Heaven on the 23rd of the last lunar month. He returns to the kitchen on the 30th. Vietnamese families often clean their kitchens and worship Ong Tao to prepare for his trip. With its veteran and talented cast, including Le Binh, Trung Dan and Bach Long, the film is expected to be a hit with audiences. Cua Lai Vo Bau and Ong Tao will be released on February 5. Film director and producer Le Thien Vien has taken a more adventurous turn by releasing Vu Quy Dai Nao (Fire in Wedding), a week after Tet on Valentine’s Day. “My film is a love story. I think young audiences will identify with my story," said Vien, who began his career as a photographer in 2009.